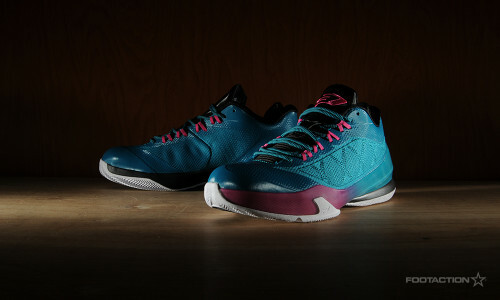 Jordan Brand unveils a colorful new colorway for Chris Paul’s latest signature sneaker: the Jordan CP3.VIII Teal Pink. The sleek and minimalist silhouette is covered in a dominant teal while pink serves as an accent color. The innovation lies in a no-sew construction as the overlays are fused to the engineered textile upper, layered cushioning systems with Zoom in the forefoot and Lunarlon and Phylon under the heel. The shoe employs somewhat of a 5/8 cut that sits between a mid and low-top shoe. Last but not least, the personal touch on the shoe is a family tree along the inside of the tongue that pays tribute to Paul’s family. The latest Air Jordan 6 Retro Girls colorway features a white-based upper with Vivid Pink panels providing a great pop of color. A translucent outsole showcases the visible Air-Sole unit. If you’re interested in copping a pair this weekend, please read our release details below. In partnership with mall management, SELECT Foot Locker and Kids Foot Locker stores will implement a sweepstakes ticket procedure* in order to purchase the Grade School Air Jordan 6 Retro Girls “Vivid Pink” (on sale 6/7/14 for $ 120). The sweepstakes tickets will be given out Wednesday, June 4th and Thursday, June 5th. If your ticket number is selected, you will be notified by phone on Friday, June 6th. These procedures are for SELECT STORES only. To find out which store near you will carry the shoe and if that store will implement the sweepstakes ticket procedure, please visit the Foot Locker Launch Locator. 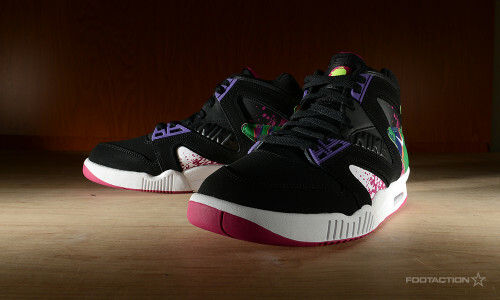 This release will also be available on Footlocker.com starting at 8:00 a.m. EDT on Saturday, June 7th.